So I think we can all agree that the advent of the App Store was a pretty radical thing a decade ago. It really changed the way the world thought about how you purchased and used software, and filled our lives with an app for anything you could think of. It also ushered in an entirely new guard of developers who were all competing on the same stage as the big, established companies. I don’t think it’s hyperbole to say that it was a revolution. However, in this brave new world of completely digital storefronts, some growing pains have cropped up over the years. I’m sure just about everyone out there has had an experience where an app they loved changed hands from one developer to another and due to the weird nature of the App Store they’ve had to rebuy that very same app under the new developer’s account. It’s actually pretty dang common. In my opinion, it’s not always unreasonable either. Sometimes those things happen, and it’s not a terrible occasional tradeoff for software that is being updated regularly and is more or less a living, breathing thing. Yes, that NES cartridge I bought 30 years ago can be popped into my NES and played today with no issues, and there’s something comforting about that. But that NES game also isn’t getting any updates, it’s the exact same as it was 30 years ago. My apps and games nowadays are always getting updates adding cool new features, and with the low cost of software nowadays I’d say we’re getting the better end of the deal in the long run, even if that means having to rebuy a favorite game or app here and there. While everyone might not feel the same as me, I’m largely understanding in situations like that. But even I have my limits. Case in point: The classic 2006 Diablo-like action RPG Titan Quest has just appeared for a THIRD time on the App Store under its third different label. This time being published by HandyGames as Titan Quest HD ($6.99). Now, you might remember that earlier this year in April, the original Titan Quest port that was developed and published by DotEmu back in 2016 was handed over to THQ Nordic, formerly Nordic Games, who owned the IP and had put out new versions of the game on consoles and PC. Ok, that’s fine, and made sense. DotEmu did a lot of work getting the game working on mobile, which was no small feat, but the game was still rough around the edges and needed the type of attention that I don’t think DotEmu had the time to give it, so why not pass it back over to its parent and let them handle things moving forward. 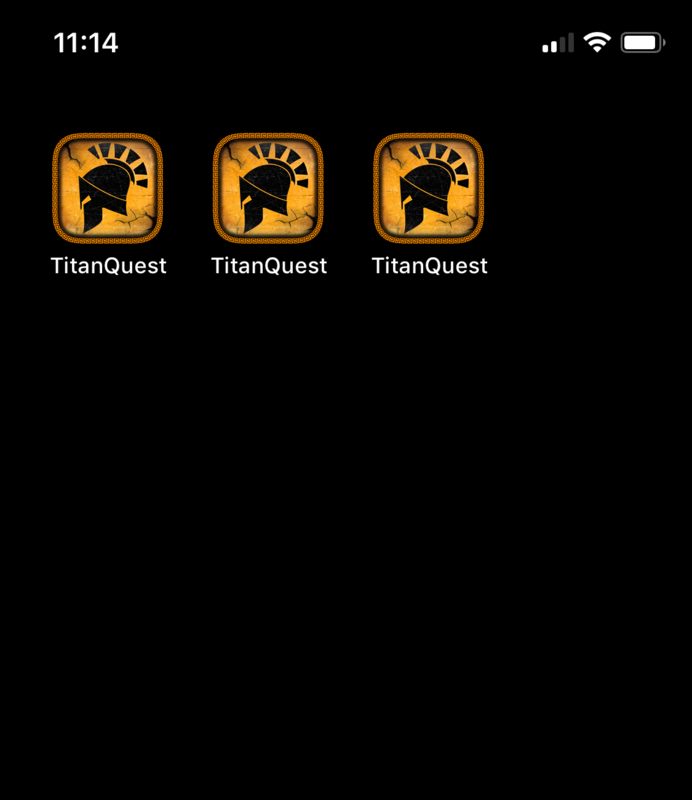 As someone who bought the original mobile Titan Quest back in 2016, I wasn’t THRILLED about having to rebuy the newly-published THQ Nordic version, but if it meant that a developer would actively be working on it then I was fine with it. But that’s not what it meant. 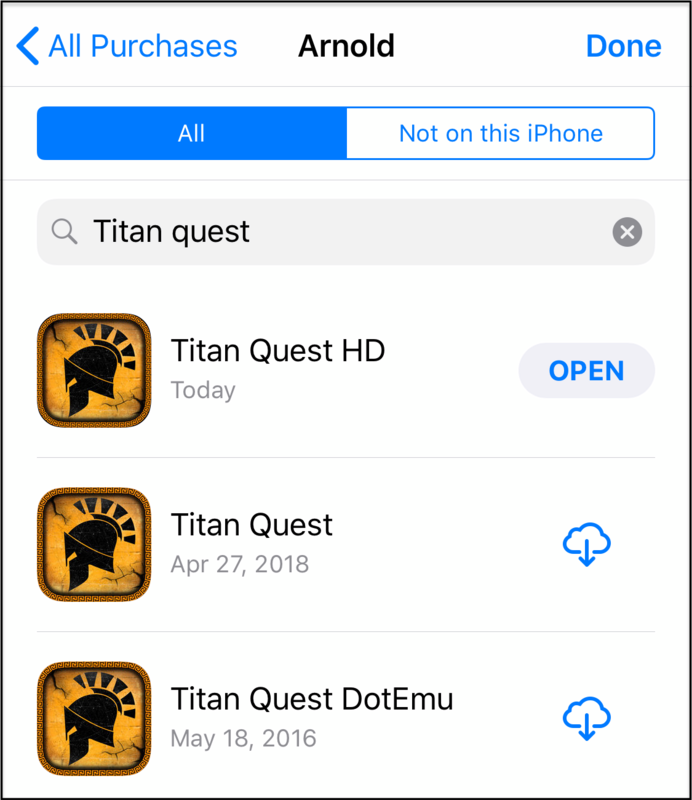 Not only did the new version of Titan Quest lack basics like full screen support for the iPhone X, it also still had all of the same frustrating bugs as the DotEmu version. It was literally the exact same game but under a different label. Again, that wouldn’t bother me if updates were on the way, but those updates never came. Even brand new buyers of the THQ Nordic version were left with the same buggy, unoptimized version as everyone else. Then just this week people in our forums noticed that the THQ Nordic published version of Titan Quest had mysteriously disappeared. Tweets and emails were sent to the developer but no answers were given. A popular, and probably overly optimistic, theory was that the company had pulled the game because they had a huge update coming that would finally address the game’s many shortcomings and, if our dreams were really to come true, include the expansion content from the original game that many had hoped would make it to the mobile version. That was the dream, but the reality is that today Titan Quest has again reappeared in the App Store and again has been published under a new label, HandyGames, who THQ Nordic acquired back in July of this year. And if you were guessing that you would have to again repurchase the game under its new label, then you win a prize! Your prize is buying the same exact game for a third time. So I wouldn’t really call it “winning." I think the real kicker here is that this is again the exact same game as it was before. No iPhone X screen support, no bug fixes, no expansion content… nothing. I guess if you were to look for a silver lining in all this, it’s that hopefully this latest switch means that HandyGames will actually be taking an active role in developing the mobile Titan Quest, adding the bug fixes and extra content we’ve been waiting more than two years for. After all they are a mobile-focused developer and when THQ Nordic acquired them in July it probably made a lot more sense for them to take on the responsibilities for the mobile version. Let’s just hope that that’s actually the case this time around. If this latest Titan Quest does end up getting the love it needs, I won’t even be mad at having bought it three times over. The original PC game is fantastic, and even with its rough edges the mobile version is still a lot of fun. But if this new version just languishes as the others have, well, then that’s about as dirty as I’ve seen a developer do its customers in the App Store. If you aren’t willing on taking that chance and don’t want to fork over for this latest release of Titan Quest, I don’t blame you. Both of the previous versions can be downloaded from your Purchase History in the App Store, and as I’ve said they are all exactly the same anyway. Let’s just hope that with the game now under the umbrella of HandyGames that they do the right thing and give Titan Quest on mobile the attention it needs.